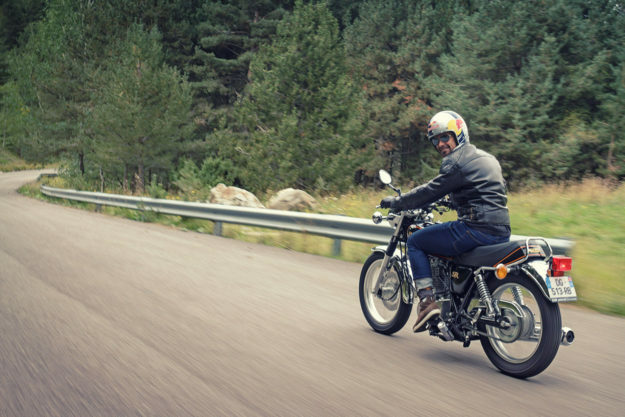 Cyril Despres has nothing left to prove on a motorcycle. He’s got five Dakar Rally victories under his belt, plus wins at hell-on-earth events like the Red Bull Romaniacs and the Erzberg Rodeo. These days, Despres leaves his highly-strung race bikes in the garage. 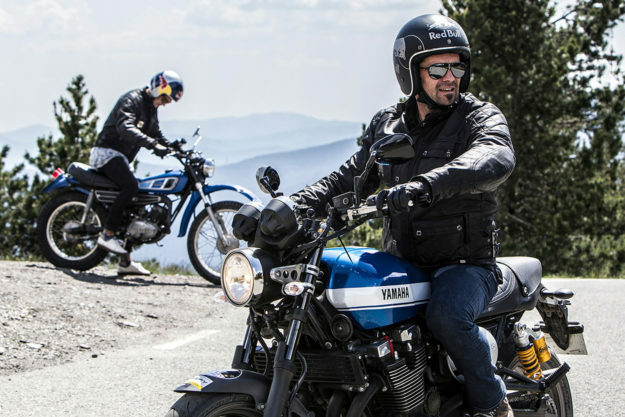 When he heads out on two wheels, he’s more likely to take his Yamaha XSR700 daily runner, his Ural sidecar, or his classic DT125. 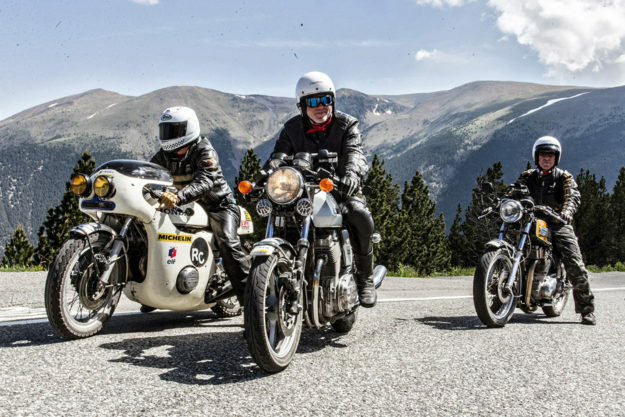 The French rally great lives in motorcycling nirvana: Andorra. 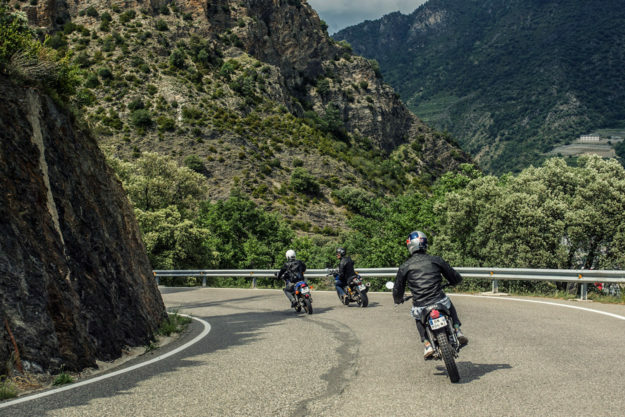 The tiny microstate is high up in the Pyrénées Mountains, sandwiched between France and Spain, and it’s loaded with endless, well-groomed mountain passes. It’s also where, in less than two weeks, Despres will host the second edition of the Andorra 500: a regularity rally with a classic spin. 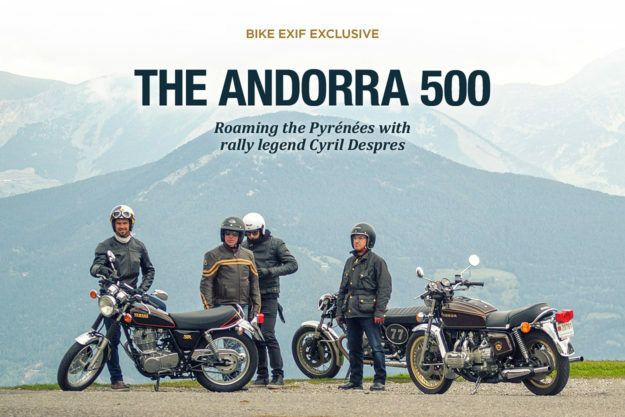 To keep the retro feel of the Andorra 500, you’re given a choice of three classes to enter. 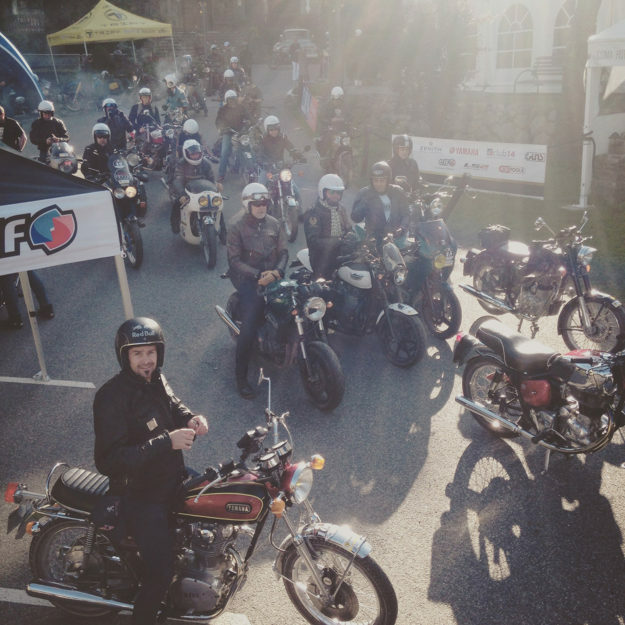 The ‘classic’ class is open to pre-1980 models, the ‘neoclassic’ class is for modern classics, and the ‘custom’ class covers everything from cafe racers to bobbers. If you’re not sure if your ride is eligible, just email the crew a photo of your bike and they’ll let you know. And if you’re not up to competing, there’s even a ‘tourist’ class that follows the day’s route, without timing. The rally is spread over three days, starting on June 3. There’s a surprise-packed prologue on the Friday, followed by a total of 215 km and 210 km of riding on the Saturday and Sunday respectively. Each stage averages between 10 and 25 km, with 12 ‘special’ stages spread throughout the day. Special stages are where the race is won or lost, but the emphasis is not on outright speed. Since this is a regularity rally, riders are scored on their ability to maintain a consistent average speed.